Enjoy pure-tasting water with the latest filter pitcher technology in just minutes. The ZeroWater filtration system combines FIVE sophisticated technologies that work together to remove virtually all dissolved solids from your tap water. 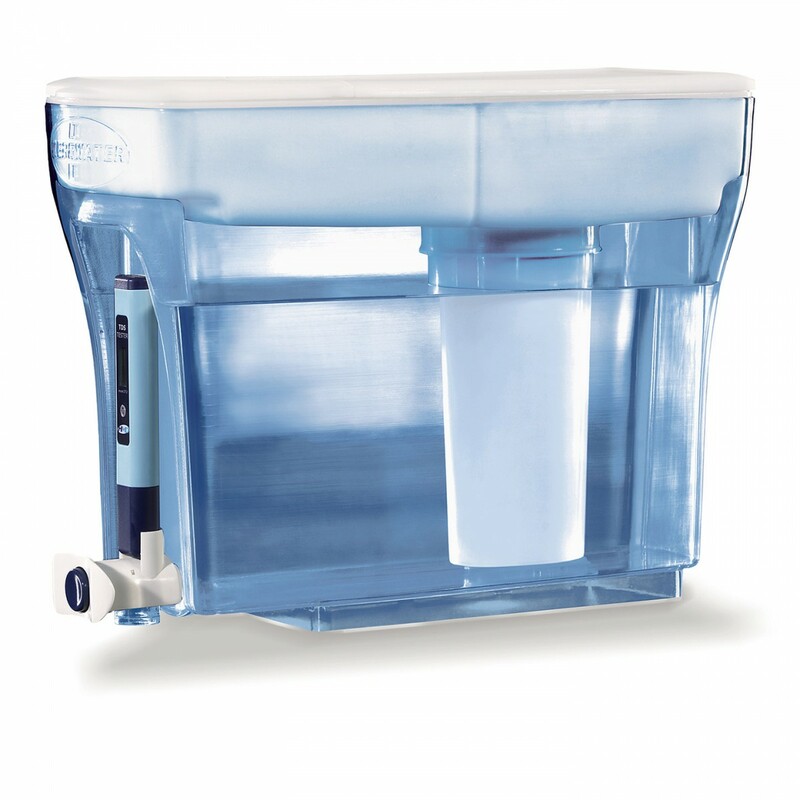 This 23-cup dispenser comes with one Ion Exchange filter, plus a laboratory-grade water testing TDS meter. ZeroWaters primary layer of filtration, activated carbon and oxidation reduction alloy, removes chlorine taste. The Ion Exchange stage removes virtually all dissolved solids left over from public water systems or even leached in from piping such as aluminum, lead, zinc, nitrate and more. Another three stages are included to ensure a 000ppm reading on your laboratory-grade TDS meter. 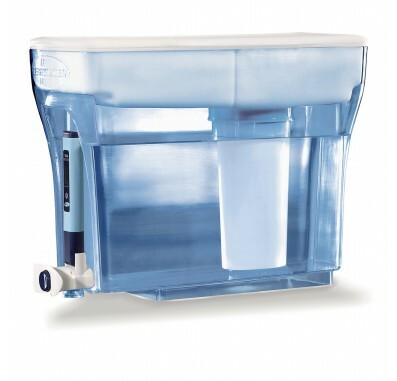 The ZD-018 pitcher's underneath filter assembly ensures that water passes through filter and not around filter. The ZD-018 dispenser's one-hand 'Pull & Pour' button spout makes it simple to dispense water into your bottle or cup. The ZD-018 also features a convenient space-saving design, with easy access to refill your dispenser while it's in your fridge. ZeroWater Pitchers and Dispensers are equipped with a patented 5-Stage Dual-Ion Exchange filtration system, certified to remove lead, chromium and mercury. The FDA requires the TDS level in purified bottled water to reach 000-010ppm. ZeroWater is the only water filter pitcher system to achieve this level. NSF 42 and 53 certified. The ZD-018 dispenser uses the replacement filters in the ZR-001 one-pack, the ZR-017 two-pack, the ZR-006 four-pack and the ZR-008 eight-pack. The ZD-018 is a cost-effective alternative with high contaminant removal compared to the Culligan PIT-1, PUR Pitcher Filters and Brita Water Pitcher Filters.